Isobel Miller gave up God for worldly pursuits. But as graduation approached and her engagement was broken, she questioned that decision. God heard her prayers and reached out to her. She dedicated her life to missionary service in China. 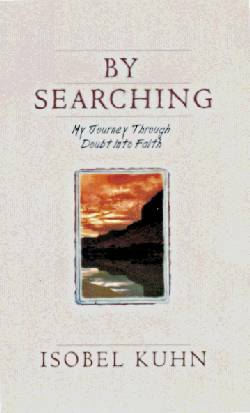 By Searching by Isobel Kuhn was published by Overseas Missionary Fellowship Books in December 1959 and is our 16702nd best seller. The ISBN for By Searching is 9780802400536. Be the first to review By Searching! Got a question? No problem! Just click here to ask us about By Searching.